It may have all started with just a humble pie, but today we are a leading food manufacturer, offering a broad selection of products. To this day we have remained a family business, committed to our founding principles of quality, innovation and integrity. As one of the UK’s leading food manufacturers, we supply a wide range of savoury products, cakes and ready meals to many of the UK’s top restaurant brands, food service distributors and independent bakers, as well as 26 overseas export markets. It’s a far cry from our humble beginnings back in 1926, when John James Wright started providing quality, wholesome food for the ordinary working people of Stoke-on-Trent. The food was so good that we still make the first product he ever sold— a meat and potato pie — using the same 11 original ingredients. In spite of our exponential growth we have remained a family business; guided by Peter Wright, great-grandson of the founder John Wright. His founding principles of quality, innovation and integrity are still honoured, and it is this drive and passion that has seen over 90 years of continued investment. Spending in excess of 40 million pounds over the last 20 years on our state of the art manufacturing facilities and distribution centre, we have been able to improve efficiencies, reduce waste, and bring in greater operational flexibility. Whether we are supplying major restaurant chains, independent bakers or supermarkets, innovation and quality is at the heart of everything we produce. A passion that is further illustrated through the introduction of our sub brands; the traditional, fresh baked bread from our Sheaf Street Bakery and Urban Bistro our full service vending solution. None of this would be possible without the unwavering support and commitment from every one of our 570 employees, who ensure our ongoing success. We believe in making a difference. We believe our name stands for value for money, quality and innovation and with the integrity of our skilled workforce, we aim to provide our customers with a service second to none. As Wrights heads towards its land mark centenary, we will remain true to our family heritage of quality wholesome food, that has allowed us to successfully evolve into a major player in the food industry. 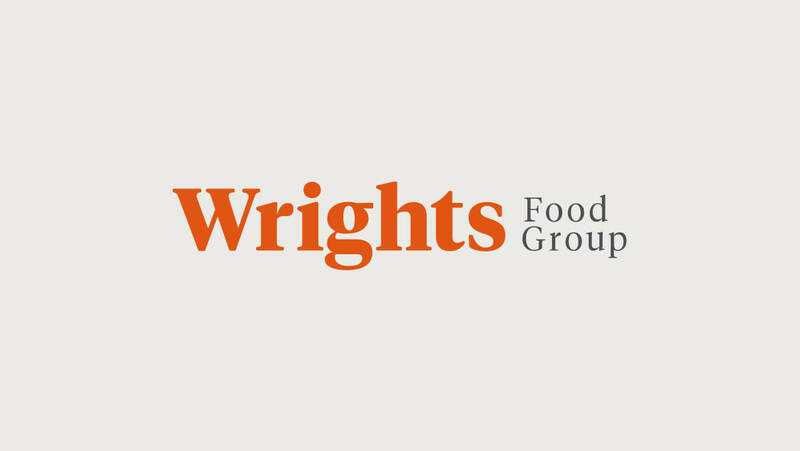 Explore the history of Wrights Food Group right from the very start. John James (Jack) Wright baked his very first savoury pies from a terraced house kitchen in Bold Street, Stoke-on-Trent. Jack worked as a mechanic/driver in the day, carried the meat and potatoes home from the markets after work and produced the pies along with his wife Elizabeth at night. As the popularity of his pies burgeoned, he gave up his job to develop the family business full-time and by 1935 had opened four shops in Stoke-on-Trent. Originally known as ‘The Workers’ Caterer’ we changed our name to ‘Wrights Pies’ due to the popularity of our pies. Delicious hot pies were sold for just 3d, adding mushy peas and gravy cost an extra 1½D making a cheap, filling and nourishing meal. A selection of fruit pies were available for 1d, 2d or 3d, and for 6d customers could purchase a whole slicing cake for Sunday tea or special occasions. In the early days, deliveries were made in a handcart by young Billy Shaw. Billy would pull the fully laden cart to Wrights Pie shops all over the Potteries. An original 1930s recipe lists the ingredients for “College Puddings”, a dried fruit suet pudding, served with custard, usually in the customer’s own basin. Jack Wright experimented with all manner of recipes. His archives detailed recipes for Soap, Sausages and Mincemeat at Christmas. This had to be turned by hand every week and stored in wooden barrels for six months in order to ensure the fruit and mixed spices matured to perfection. Jack was a perfectionist, he insisted on pristine white overalls and no makeup or jewellery was to be worn. Every customer had to be served with a smile. The shop windows were a source of great pride, with their tiled window beds, mirrors and painted woodwork. He decorated them with fresh flowers and displayed an array of products including 7lb glass jars of bottled fruit. He had a weekly competition for the best dressed window and the winners were presented with a 1lb box of chocolates, which in those days was a real treat. In 1937, a typical wage earned by a skilled Wrights bakery foreman in the post-war years was 6 pounds 10 shilling per week. A shop assistant earned 8 shillings 9 pence per day and a bakery labourer was paid three pounds five pence for a five-and-a-half-day week. In 1935 came shop number 4, Tunstall. Delivery man Billy Shaw refused to pull the old handcart the extra four miles to Tunstall. Jack’s diary notes a wise investment of £76 on a Fordson Van to modernise the delivery service. In 1935, our first purpose built bakery was constructed in the garden of Jack Wright’s house, Elgin Villas, in Shelton New Road, Stoke-on-Trent. It cost the princely sum of £2,021. The bakery had a fruit bottling plant on the top floor, busting at the seams with preserved fruit. Stores and offices took up the middle floor, while the making and baking was carried out downstairs. New brick coke-fired ovens churned out between 2000 and 3000 products a day. Coke-fired ovens were used up until 1964, when gas-fired reel were installed. Each of the ovens held 4 trays – total capacity 80 pies in the top and the same in the lower, with 160 baked every 45 minutes. A Peerless rotary pie machine, seen in the foreground of this photograph, produced the pie cases at the rate of 1200 per hour. During the 1970s, employees made sausage rolls the hard way, rolling them by hand. They produced around 2000 products each day, which is a far cry from today’s fully automated production line that produces in the region of 26000 per hour. Having supported the local teams for over 40 years, supplying Wrights pies and sausage rolls to both Stoke City and Port Vale, we are now proud to supply our products to over one-third of all English football clubs. Founded in the same year that Her Majesty The Queen was born, it seemed more than fitting to Celebrate 90 years of Wrights with a Royal Visit. Here to officially unveil our new, fully automated confectionery factory, her Royal Highness Princess Anne met dozens of employees as she toured the facility, giving them a day they will never forget. Whilst only a small part of our business, our stores form a huge part of the local community. From our first store in Hope Street, Hanley to our latest Wolstanton store, opened in April 2017, the people of Stoke-on-Trent have over 20s stores to choose from when selecting their favourite Wrights product.